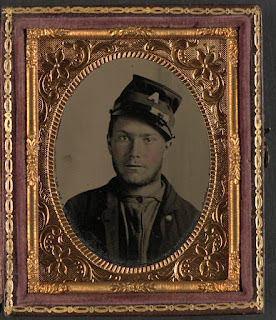 I do up the last button on my Union blue jacket and don my kepi, staring at my enlisting indentures lying on the bed. I’m as warm a patriot as anyone else, but I didn’t want to fight. Patrick has a point, though. The South recently instituted the draft in April, and there’s talk that the North will do the same before too long. There has already been news that the conscripts down south aren’t treated kindly even by their own side. 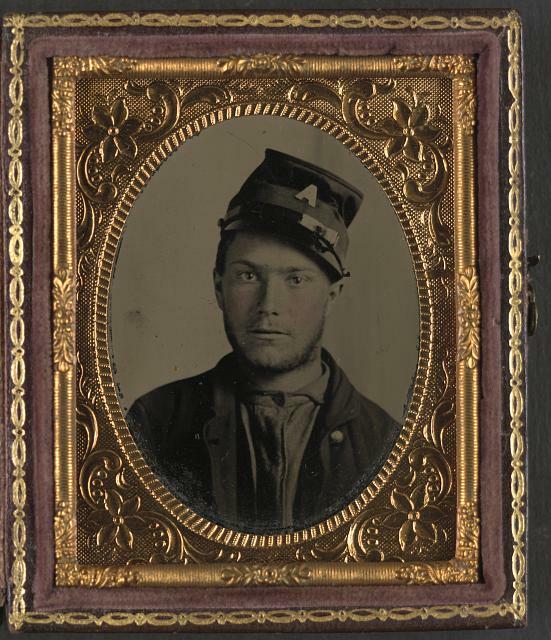 Soldiers who volunteered from the beginning have been fighting for over a year, then along comes these men who have been able to stay home until now and had to be made to fight. They don’t think too kindly of them. Patrick says if we’re going to have to fight anyway, we should probably enlist before we’re drafted. The soldiers who have been in it from the beginning still won’t like that we’ve been potentially taking their jobs and wooing their girls for the last year, but at least we’re volunteering now. Patrick says he and I each have a good excuse for staying home for a year. 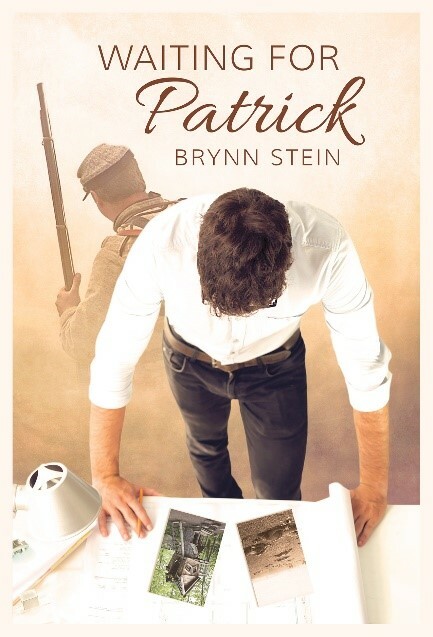 His pa had died two months prior to the war starting, and Patrick was needed at home. My older brother, Samuel, had already joined the fight, leaving Ma with my five little brothers and sisters. I was the man of the house. But now, Martin, who is still only fourteen, has been given a job. He can take care of Ma and the young’uns now, so Patrick and I are off to war. Ma comes in to see me in my uniform. She’s crying as we look in the mirror. She hugs me from the side because she couldn’t see over me otherwise. She’s a handsome woman, but only a little thing, five foot to my six foot two. I have Pa’s blond hair and blue eyes, but my dimples are all Ma’s. She tries to smile now, but she’s having a hard time. I know she’s proud of me, as she was of Samuel, but she’s scared. It’s been a year and we haven’t seen hide nor hair of him. We don’t even know if he’s still alive. She won’t hear from me often either. It’s not like mail gets through the fighting nohow. “I will, Ma. And Patrick too.” I smile when she does. It has always been me and Patrick. Patrick and me. You never see one without the other, ever since we met when we were four years old. That’s only a couple of months away, so I don’t think that will be true, but I realize what she’s doing. She always tries to be so strong. I let her. I'm a big an of your work, Brynn, congrats on the new book, I look forward to Waiting for Patrick. But I recommend everyone read Ray of Sunlight.